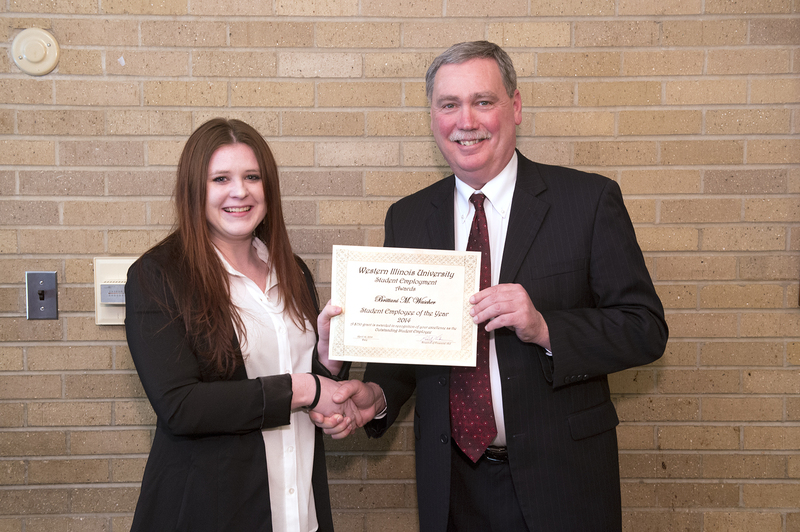 Vice President for Student Services Gary Biller presents Wascher with her award for 2014 Student Employee of the Year. 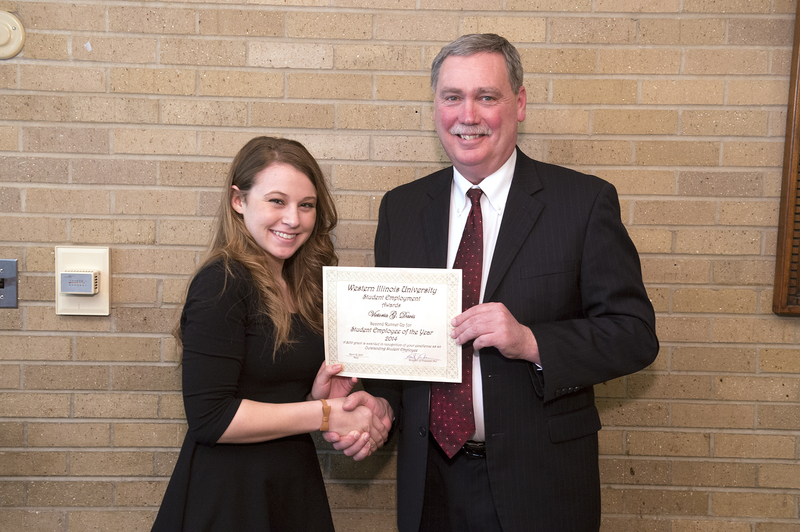 Vice President for Student Services Gary Biller presents Wells with her second place award for 2014 Student Employee of the Year. 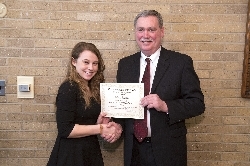 Vice President for Student Services Gary Biller presents Davis with her third place award for 2014 Student Employee of the Year. Vice President for Student Services Gary Biller presents Crum with her award for 2014 Student Employee Supervisor of the Year. MACOMB, IL - - Brittani Wascher, a senior communication major from Plainfield (IL), has been named the 2014 Student Employee of the Year at Western Illinois University. Wascher, who serves as a writing consultant in University Technology and is currently creating a promotional brochure and editing the second issue of "Writing Matters: The Writing Center Newsletter," was nominated because, according to her nominators, "she makes every attempt to relate to each client and always summarizes what the client is working on before going into depth—to make sure she focuses on the correct skill." Her nominators also said "the center almost always sees these clients come back requesting her as their consultant." She received a certificate and $750. Konnie Wells, a senior liberal arts major from Decatur (IL), was named the second place winner for Student Employee of the Year. A student worker for the African American studies department, Wells is responsible for several program booklets the department produces. According to her nominator, she "takes it upon herself to be the best possible representative of the department and the University…She learned to drive the 15 passenger vans to assist in transporting student groups on field trips, and she helped develop the academic recruiting materials and has even represented the department at events," her nominator added. She received a certificate and a $500 award from the Office of Financial Aid. Victoria Davis, a junior social work major from Vacaville (CA), is the third place recipient for the WIU Student Employee of the Year. Davis, a student worker in the Center for the Application of Information Technologies (CAIT), was nominated because she "does all of the standard tasks well, but has also taken on duties that go far beyond the student employee standard work." She received a certificate and a $250 award from the Office of Financial Aid. 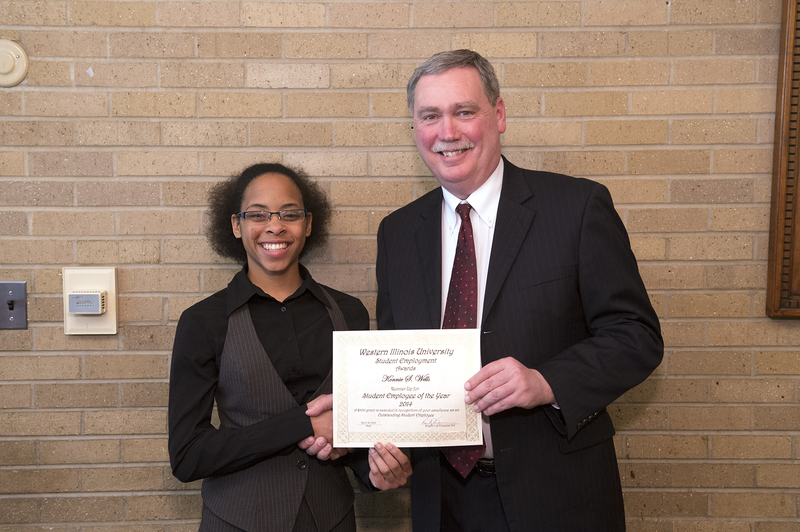 Dianna Crum, a staff clerk in the Financial Aid Office, was named the 2014 WIU Student Employee Supervisor of the Year. Crum was nominated by student worker Holly Stauffer, a sophomore recreation, park and tourism major from Fort Madison (IA). In her nomination, Stauffer wrote that she learns something new every day. "Dianna teaches her student employees that hard work and dedication will take them far in life," Stauffer said. "Kindhearted, hardworking, wonderful role model, great teacher, mentor and organized are just a few ways I would describe Dianna," Stauffer added. The Supervisor of the Year award was announced at a luncheon sponsored by the Vice President for Student Services office. 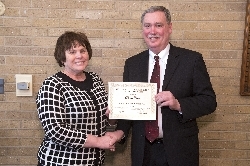 Crum received an award certificate and a gift certificate donated by the WIU Bookstore.